Optimization has become such a favored area of research in recent times necessitating the need for technical papers and tutorials that will properly analyze and explain the basics of the field. At the heart of efficiency and effectiveness of optimization of engineering, business and industrial processes is metaheuristics, hence the need for proper explanations of the basics of optimization algorithms since the optimization algorithms are the engine room of successful optimization enterprise. 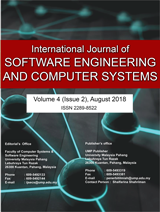 This paper presents a foundational discussion on metaheuristic algorithms as a necessary ingredient in successful optimization endeavors and concludes, after analysis of some metaheuristic algorithms that a good metaheuristic algorithm should consist of four components, namely global search, local search, randomization and identification of the best solution at each iteration.